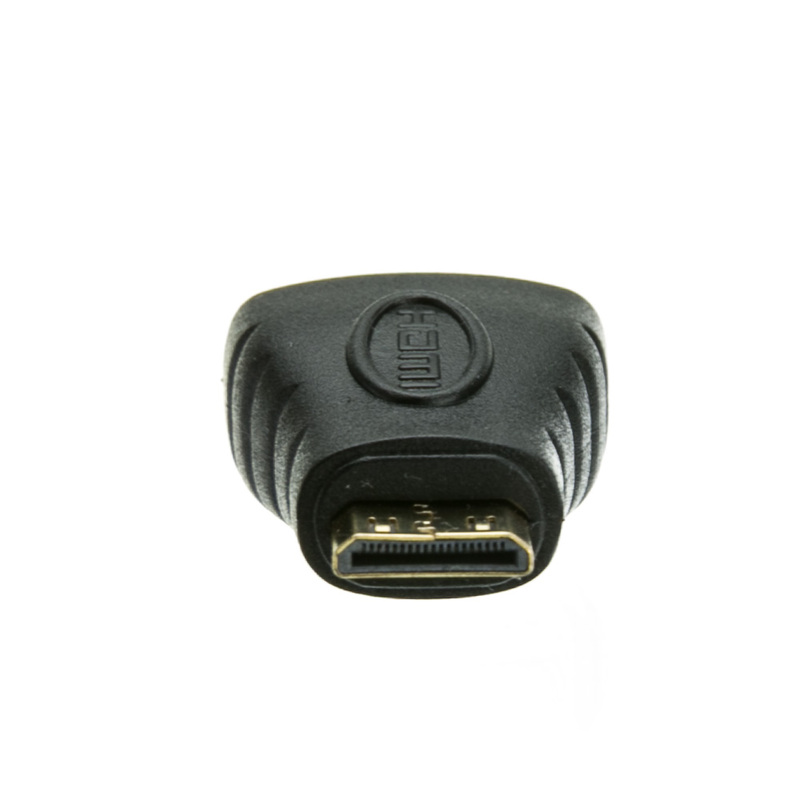 Mini HDMI is becoming more popular as a connector for camcorders and digital cameras. 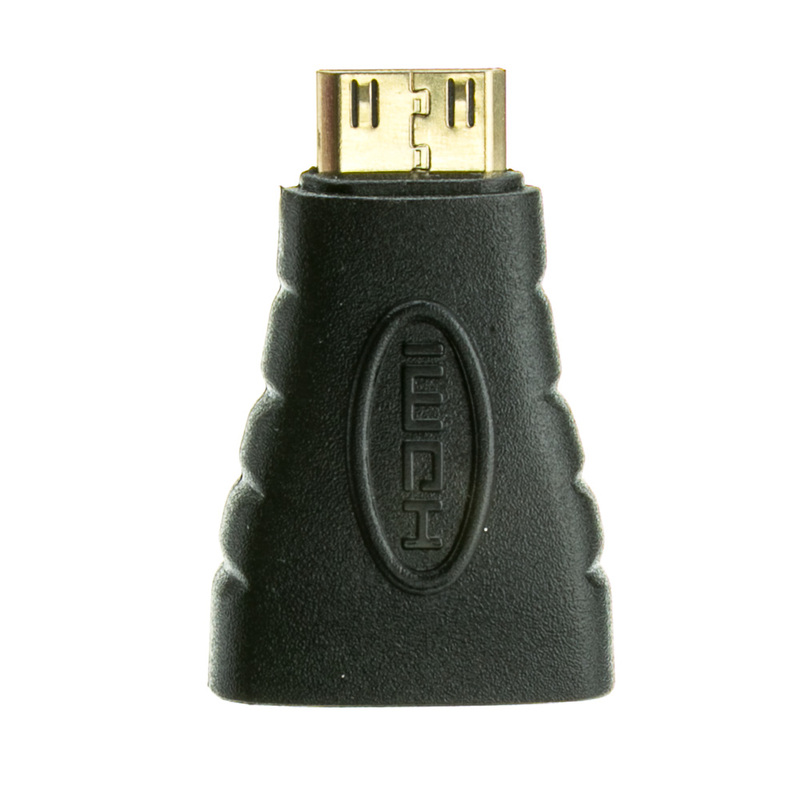 Since it incorporates video and audio, it is the perfect choice for high quality picture and sound. It works, it fits my camera, excellent audio and video to the big screen from my camera. Satisfied. This adapter works well. I use it on the mini-HDMI audio/video port of a Canon camcorder into a HDMI cable previously purchased from Cablewholesale. 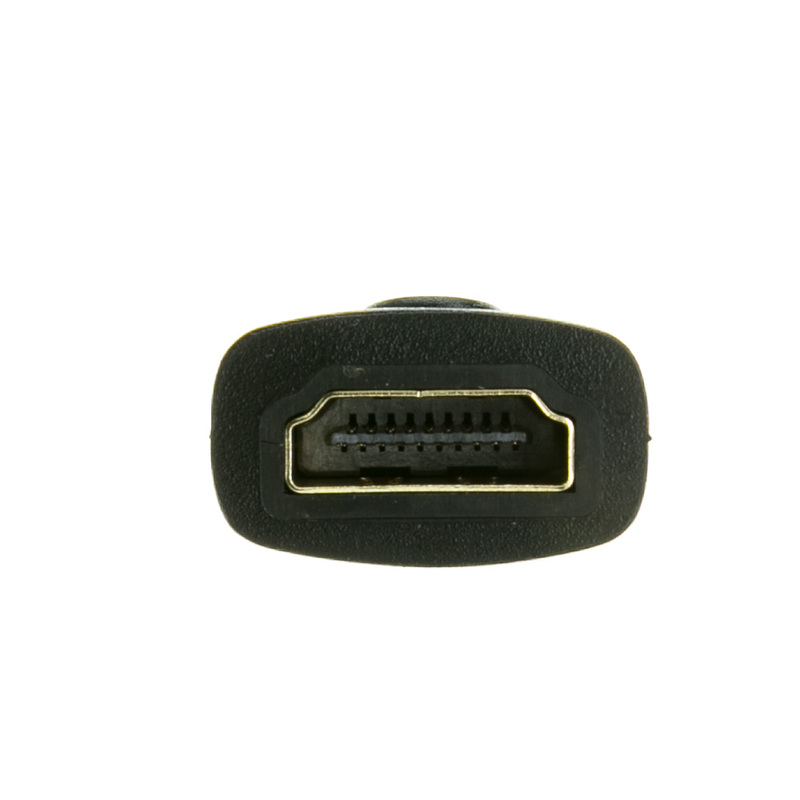 This transfers the AVCHD compliant files on the camcorder to a Sony HDTV. The picture and audio are excellent. The part seems well constructed. 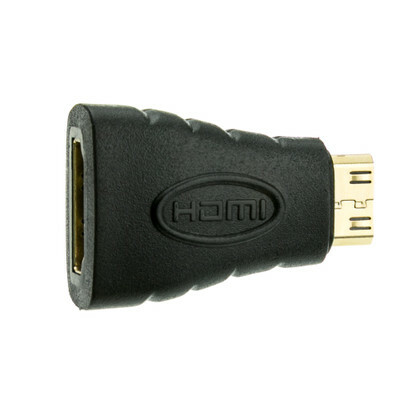 First impression was that it would be an advantage to have the adapter hinged so that the angle could adjust to the weight of the larger full HDMI cable, but after several uses I realize the small size of the mini-HDMI male connector will make this difficult due to its small size. Looks really good. have yet to try it out. I had to shave a little rubber(?) off the plug to get it to fully seat on my canon 7d. Probable due to the sealing of the camera and not a fault of the plug design.